The Welsh Rugby Union are sympathetic to introducing central contracts for their international stars should they be approached by Wales' four regions. BBC Sport understands there is support among WRU chiefs for central contracts representing a shift in attitude at Welsh rugby's governing body. 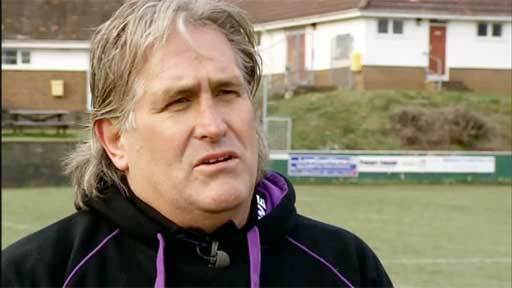 Ospreys boss Scott Johnson warned the regions might need "top-ups" from the union to keep Wales' stars in Wales. Johnson spoke as Ospreys' James Hook is set for a big-money move to France. The WRU would not consider any individual plea for a salary top-up to keep a player in Wales - such as Hook. But the union would be looking for a consensus from all four regions and representations to be made through their umbrella body Regional Rugby Wales. Hook is expected to join a French club next season after informing the Ospreys he will not be renewing his Liberty Stadium contract. The versatile Welsh international back has been linked with a move to Perpignan amid reports the British and Irish Lion could be made one of the most lucrative offers in world rugby. Hook's Ospreys and Wales colleague Lee Byrne has also been heavily linked with a move to France so Johnson, the Ospreys' director of coaching, has pleaded with the WRU to consider cash top-ups to keep their big stars in Wales. Welsh rugby are keen for their top internationals to remain playing for Welsh clubs as the WRU have more freedom due to their Participation Agreement. Under rules of this £6m-a-year agreement between the union and their four regions, Wales coach Warren Gatland can work with his players for longer periods in training camps and can select them for matches outside the International Rugby Board window. "While the big fish lay abroad, it's very, very tempting," Johnson told BBC Wales' Scrum V show. "But the commercial realities hit home that there may have to be top-ups to keep players locally. "I think the national team needs the players to remain here. "They've [WRU] got to be clear with their mandate: are they selected if they go abroad? "If not, they've [the regions] got to be topped up to get somewhere close to the commercial realities that are out there. "If we've developed the kid, we'd like to keep him." Johnson insisted directors of Wales' four regions - Blues, Dragons, Ospreys and Scarlets - are paying above the grants they receive from the WRU to keep local talent in Wales. The WRU are unlikely to force the issue. But BBC Sport understands the WRU are be open to proposals or suggestions to discuss the concerns formally of the regions as long as they come through one channel, Regional Rugby Wales.